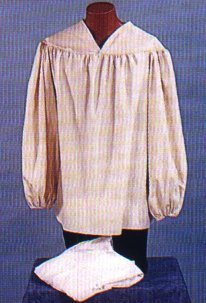 Gathered Yoke shirt with very full sleeves, v-necked opening, no collar. Natural Fabrics, STD Size (Fits up to 50/52). Available in white or natural muslin.